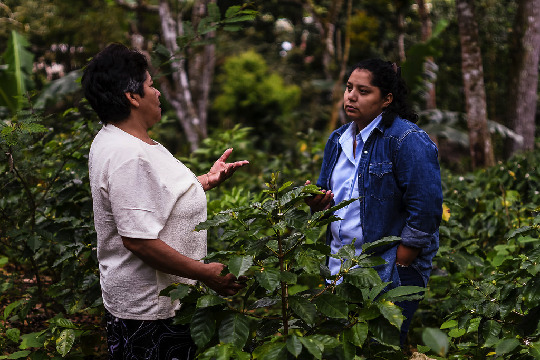 Olga Velasquez is TechnoServe’s Monitoring and Evaluation Manager for the Better Coffee Harvests Program in Central America. 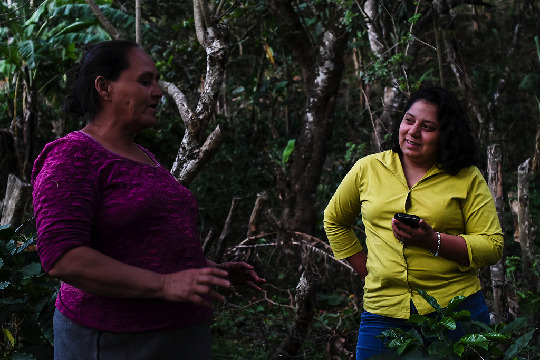 For International Women’s Day, we talked with her about her experience as a woman at TechnoServe, and why good data is important for creating stronger, more gender-inclusive coffee economies. "I'm inspired to capture rigorous data about our projects so we can adapt and improve...ours is such a small effort added to the enormous work that our beneficiaries do." (Photo courtesy of Douglas López). On how she joined TechnoServe. I’ve been working with TechnoServe for four years. 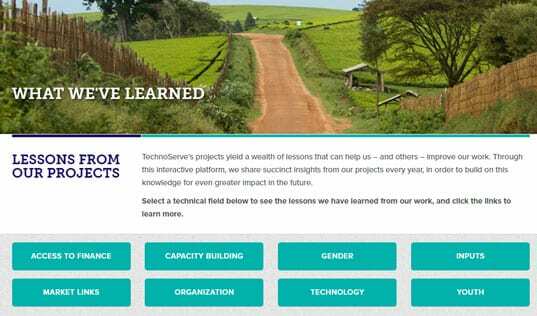 At the time, TechnoServe was refining their proposal for the international Better Coffee Harvests project, which is funded by the U.S. Agency for International Development. I joined TechnoServe to support this project’s monitoring and evaluation because I had experience – and am passionate about – working with women-focused projects and group facilitation. 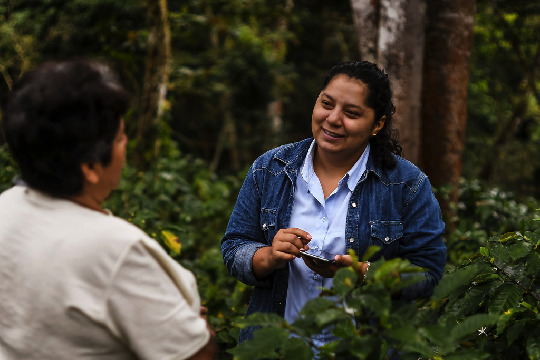 Although the project doesn’t work only with women, building an inclusive coffee value chain is essential to improving women coffee farmers’ livelihoods, as well as the success of the entire coffee sector. Part of my role was gleaning more insights from the project that could guide management’s decision-making, both about gender and other factors. On what speaks to her most about TechnoServe’s mission. One of the interesting things I’ve learned from this project with TechnoServe is the importance of adapting initiatives to markets and economic development. Politics can seem very distant to people, but we all live within the consequences of market changes. This idea of learning to overcome obstacles in the market and existing systems is particularly important for the people we work with. We find ways for those who have fewer economic options and opportunity to benefit from the system and to grow. Facilitating this is what I love about TechnoServe. 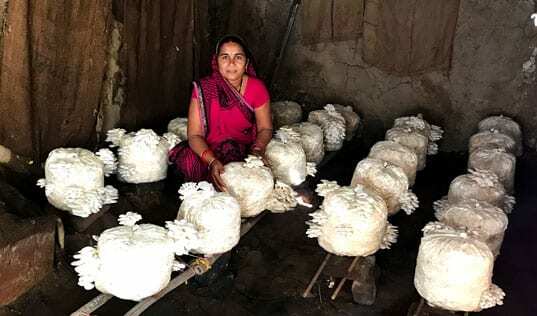 "Hearing how both women and men feel more included now, and how they’ve improved their farms in ways they otherwise wouldn’t have without the program, that’s what I work for." (Photo courtesy of Douglas López). On her experience as a woman at TechnoServe, and supporting the women we work with. I’m deeply invested in development initiatives supporting women. The fact that TechnoServe is also strengthening its focus on this issue, and my ability to help advance this social movement through economic development, is very important to me personally and professionally. Effectively implementing a gender-inclusive approach to economic development wouldn’t be possible if it weren’t driven from the inside out. Throughout my years at TechnoServe, I’ve seen how our commitment to equal hiring practices has slowly evened out the gender demographics in our staff, and I’ve seen how my professional development and that of my colleagues requires real time and investment on the part of management. I’ve seen how investing in equality and investing time into our future leaders adds real value to our organization as we grow, and this is true of our work in the field. When we can lead by example and demonstrate to farmers how their futures can transform when all talented people are included, when we invest time and high-quality training to set them up for success we make real change. On what she’s most proud of in her work. What makes me most proud are the comments that we hear when we visit the farmers we work with. Hearing how both women and men feel more included now, and how they’ve improved their farms in ways they otherwise wouldn’t have without the program, that’s what I work for. The people we work with are such hard workers. They are doing the best they can to support a family with the little that's available to them. When I talk to the children, the girls and boys who dream of going to college or opening their own businesses, I realize their dreams don't just depend on their own initiative. 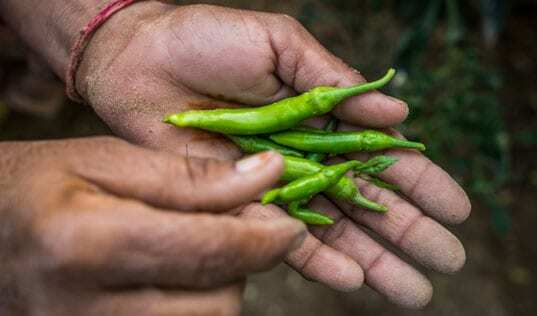 They depend on the ability of their mothers of fathers to maximize productivity on their farms and change the cycles and market systems that they are stuck in. I'm inspired to capture rigorous data about our projects so we can adapt and improve, because those children's dreams depend on it. Ours is such a small effort added to the enormous work that our beneficiaries do. "I’m proud that I contribute to strengthening our programs by measuring what’s working and what’s not working." (Photo courtesy of Douglas López). On how monitoring and evaluation (M&E) contributes to TechnoServe’s impact. Measuring and analyzing data directly affects our impact on people’s lives. I’m responsible for making sure we improve more lives more effectively by improving our work – I’m proud that I contribute to strengthening our programs by measuring what’s working and what’s not working. Everyday I'm inspired to produce good data so I can ensure our projects have the greatest effect – to help our farmers earn as much as they can so they can take advantage of the market, sell their coffee at the highest price, and set their children up to overcome the system failures that might hold them back. Her top three tips for creating and measuring impact in the fight against poverty. Monitoring and evaluation is not office work. The work is in the field with the teams. If M&E work stays in the office, the information we get will be much dryer and will tell less of a story than what is truly going on. It’s easy to get caught up trying to demonstrate that we are using the best new technique or tool, but often the most effective way to do things is simply to talk with people. Any monitoring and evaluation system that does not measure the different factors inhibiting men and women from prospering within the value chain will not be able to generate maximum impact. The more we progress in the fight against poverty, the harder we must work to integrate equitable economic development for women into our strategies. See more stories of the impressive women who help drive TechnoServe's mission.